Adopting is a big decision, and an important one. When a family adopts a new pet, they not only help a homeless animal, but make room in shelters for another pet in need. To celebrate this month, meet one of longest-term dogs, Bella! This sweet lady enjoys cuddles and can often times be found snoring on her favorite person’s lap. She’s polite, curious, and observant – which are great qualities for a city pup! She’s house-trained and only seems to bark when she’s looking to play. She’s an independent dog and would do best in a home without other animals. 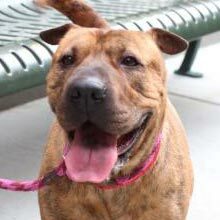 Consider adopting Bella during Adopt a Shelter Dog Month! 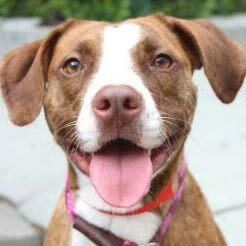 If Bella isn’t the one for you, visit anticruelty.org and see all of the dogs available for adoption at The Anti-Cruelty Society!